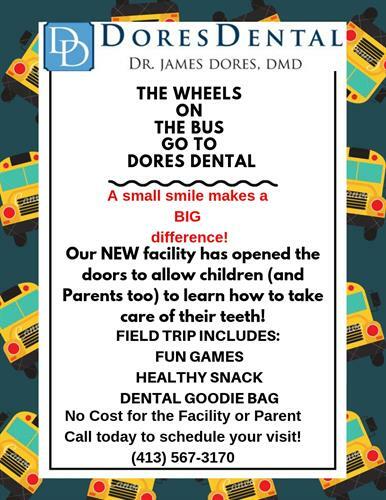 Name: The wheels on the Bus go to Dores Dental! Dores Dental has opened up its doors for a fun filled Field Trip Idea! and have a fun filled trip while learning how to take care of their teeth!